This is another in my “Short Lives Remembered” series. In these posts I focus on often-forgotten children in family trees. Those who died all too young. The ones who never had chance to marry, have children and descendants to cherish their memory. The ones who, but for family history researchers, would be forever forgotten. This story is a direct result of the new search facilities available with the General Register Office (GRO) indexes. I wrote about the new searchable indexes of births and deaths and the extra flexibility they provided here. As it is a new compilation it differs from other indexes because, where possible, the GRO have provided the mother’s maiden name right back to July 1837, as opposed to the September quarter of 1911. For deaths, an age is included if it is on, or is legible on, the original entry. Again this is back to their 1837 inception, as opposed to the March quarter of 1866 on other indexes. Armed with these new search options, I am in the process of going through my family tree. For some there are obvious child-bearing gap years to focus on. The 1911 census is even more explicit in that it gives the number of children born in a marriage to a couple and provides the number surviving/dead. So the search offers a new tool to identify some of the hitherto unknown dead children if other methods have failed. More speculatively I’m going through my direct line ancestors to see if there are any other missed babies. Tedious with the two-year search parameter and having to specify the gender when searching. But rewarding nevertheless. This is the story of my first search. I decided to investigate my 2x great grandparents Joseph and Kezia Hill (née Clough). Joseph and Kezia married on 22 April 1869 at Tong Parish Church. Coal miner Joseph was only just 20 and Kezia 18. They both lived on Whitehall Road, Drighlington. Childhood sweethearts I assumed. In February 1871 son Albert was born, followed by John Herbert (Jack) in December 1872. Another boy, Harry, was born in around early 1874. Finally daughter Martha arrived towards the end of September 1876. Kezia died the following year. So I had a very narrow search window for this family. I didn’t expect much, given they’d had four children in their seven years of marriage. However the very first search produced a possible. I used 1870 +/- 2 years, males, with the surname Hill and mother’s maiden name Clough, and no phonetically similar/similar sounding variation options. It produced three hits. These are in the screenshot below. Albert is there, as is a boy named Herbert. This is John Herbert. As I explained in my previous post, this is one of the quirks of the new search. Joseph and Kezia originally registered their son under the name Herbert, but changed their minds, went back and amended his name to John Herbert. The new indexes fail to pick up certified name changes. There is a third boy on this list though: Frank William, whose birth was registered in the September 1869 quarter. It looked promising. The Registration District corresponded – Bradford, Yorkshire. The names were family ones – Joseph’s grandfather was called Francis; his uncle and eldest brother were named William. But it wasn’t proof positive. In the 1871 census Joseph and Kezia with infant son Albert. No Frank. Was he living elsewhere at the time of the census, or had he died, another census “in-betweener“. A search on the death indexes for Frank Hill with a +/- 1 year parameter resulted in 14 hits. The bottom entry looked spot on. It shows the death registration of Frank William Hill in Bradford, Yorkshire in the December quarter of 1869 – age 0. The convention is to record the age as 0 for infants under 12 months. However, be aware that despite the rhetoric, this isn’t a hard and fast rule with these new indexes – there are errors. I have instances were a child of two months at death is recorded as two years. I decided to play it safe though and went for the birth certificate initially. I ordered it on 9 November via the trial PDF system. By 11 November it arrived, five days ahead of schedule. However I couldn’t open it. The only one of my orders I had an issue with, and it would be this one. Despite this glitch, I am feeling very positive about the new PDF system. No it’s not perfect, but it is another (cheaper) ordering option, where you don’t need a fancy all bells and whistles certified copy. It’s a straightforward process, especially for those birth and death events searchable on the new indexes. And the indexes themselves have helped me progress my family history in a way not possible with the alternative ones. Anyway, back to Frank’s certificate. I was on tenterhooks. So near but yet so far. Then Steve Jackson stepped in, who runs the Atcherley One-Name Study. He sorted it in no time, and bingo. Frank William was indeed Joseph and Kezia’s first child. This put a whole new spin on my family tree. For a start my great grandad was now relegated to third child. But, more importantly, Frank was born in Drighlington on 18 September 1869. This was coming up to five months after his parents married. He may therefore have been the very reason for their marriage. But sadly his life proved far shorter than those five months of his parents married life to date. Joseph registered his son’s birth, making his mark. He alternated between signing and making his mark on various birth and death registrations, so it is difficult to make literacy assumptions on the basis of a one-off registration. However the sad task of registering the baby’s death fell to Sabina Hill. I suspect she is Joseph’s sister as she’s the only Sabina Hill in the family tree at this point. However I do have a slight niggle with this theory: she was only 14 years old in 1869. She too made her mark. Frank never thrived. 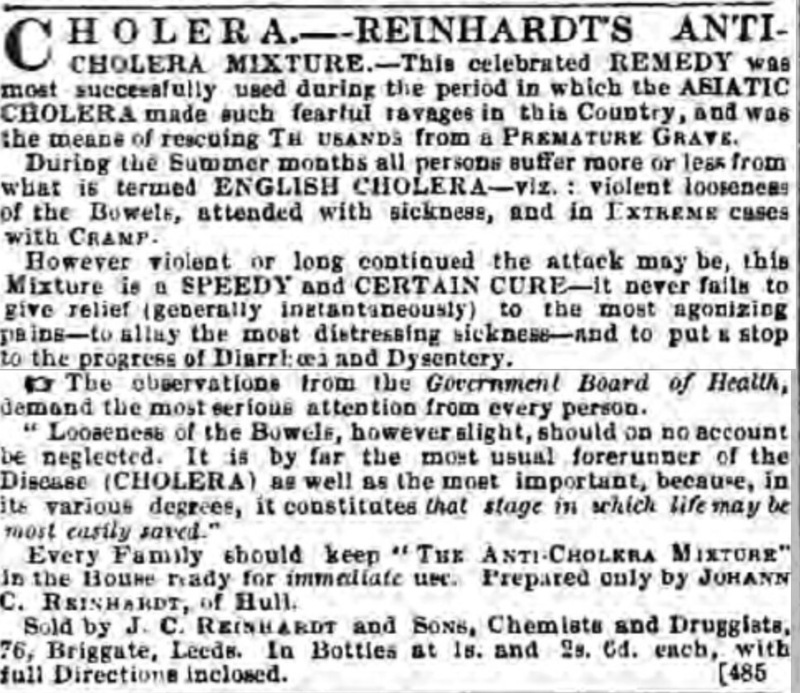 He must have been a constant cause of concern for his young parents. He is described on the death certificate as having anaemia since birth. He lived only three weeks, giving up his struggle in Drighlington on 9 October 1869. 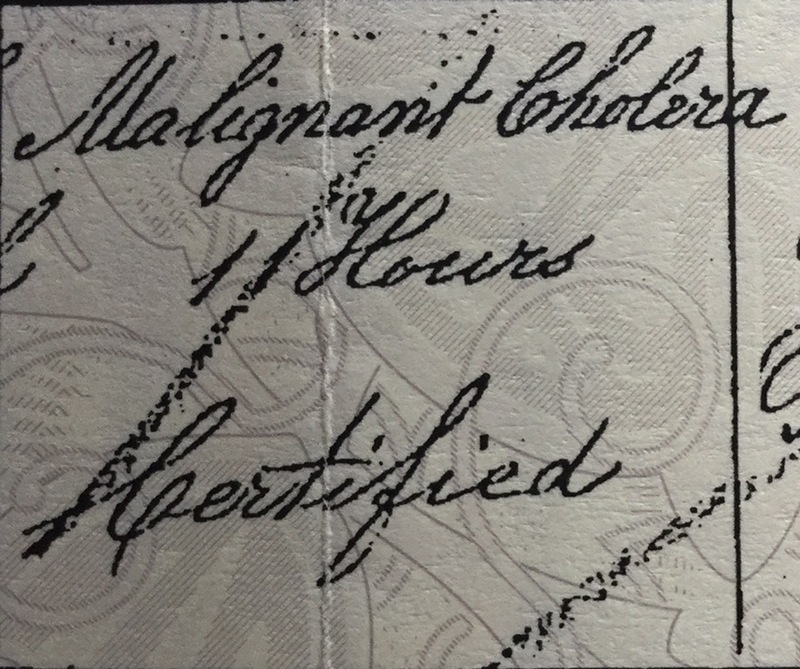 His certificate also states, besides anaemia, he suffered convulsions for a few hours before his death. Convulsions was not an uncommon death certificate death cause for young children and infants in this era. Babies and infants who develop a fever as a result of an infection may fit because of their high body temperature. With the medical limitations of the period, in these circumstances the outward manifestation rather than the underlying cause was recorded. So ended Frank’s short, but significant, life. Significant insofar as it was probably the initial impetus behind Joseph and Kezia’s marriage. And, as a result, generations later their family lives on. Including me. I’ve not found a baptism for Frank. There won’t necessarily be one. And to date I’ve not found a parish register burial entry for him. But it’s early days, given its only a week ago since I learned of his existence thanks to the new GRO indexes. However the discovery of his brief life has added a new dimension to Joseph and Kezia’s life together. And sadly it’s another tragic one. Maybe next year I will write about them. Extract from GRO birth register entry for Frank William Hill: Image © Crown Copyright and posted in compliance with General Register Office copyright guidance. In these posts I wrote about how a newspaper article detailing the outcome of a Quarter Sessions case demolished some brick walls in my family history. 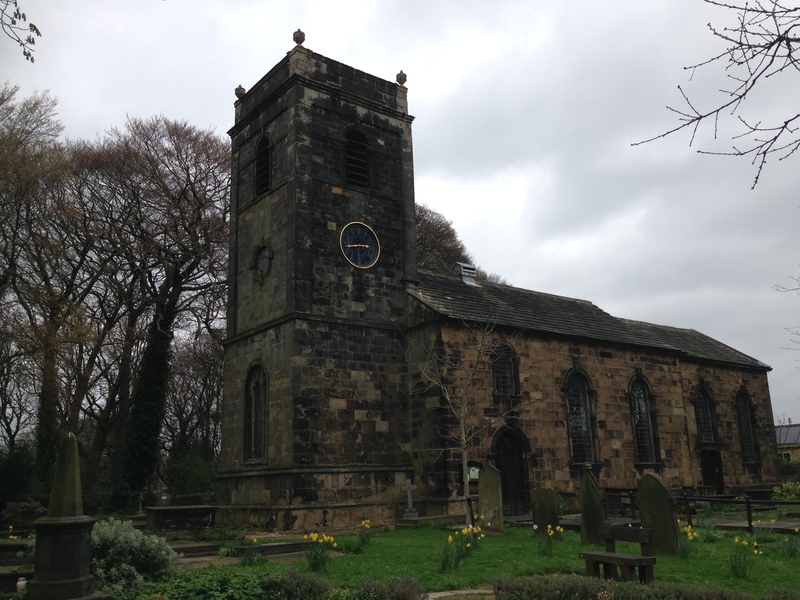 In April 1830 Drighlington township unsuccessfully attempted to remove John Burnett’s widow, Jane, and her children to Newcastle All Saints parish. John was the brother of my 3x great grandmother. The newspaper report provided family details which enabled me to progress back to child-stealing-accused chimney sweep Stephen Burnett and Charlotte, the woman he for some time lived in concubinage with – my 5x great grandparents. Since writing these posts I’ve accumulated three more snippets of information, all from different sources. One of these has particular relevance for my proposed visit to Newcastle. The first record is the administration granted to John Burnett’s widow, Jane, after he died intestate. This provides some additional pieces of background information. It states John died on 16 June 1829. Previously I only had his Drighlington burial date of 19 June 1829. The administration gives the names, abode and occupations of the two bondsmen: As yet no obvious family link, but you never know when this might be useful. I also have additional confirmation that he lived in Drighlington and that he was a collier (coalman on the administration). Finally there is a written statement outlining the whole of his goods and chattels amounted to under £5. 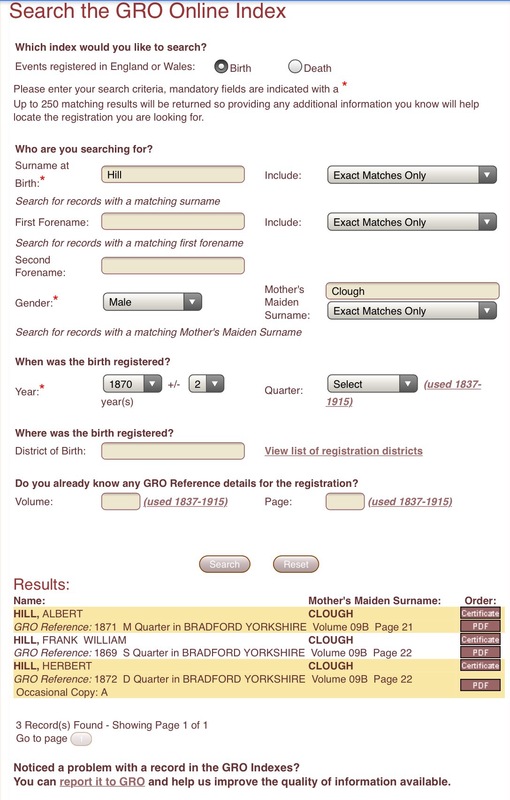 The second piece of documentation is via the West Yorkshire Archive Service record set on Ancestry. 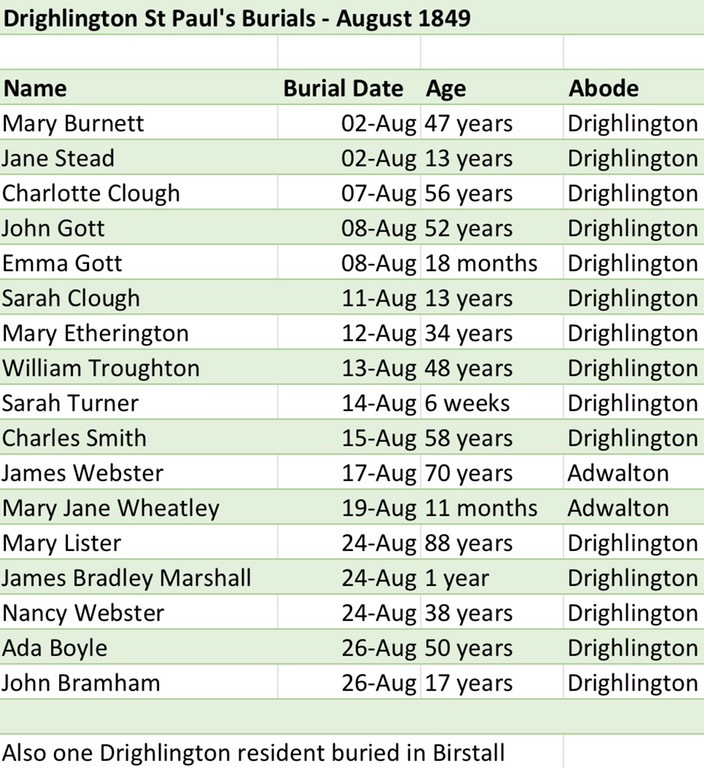 The “Removal and Settlement” records show the Drighlington Churchwardens and Overseers of the Poor made a failed attempt in late 1829 to remove Jane Burnett and her children Nancy, Stephen, Maria and Jackson, to Halifax. This is useful because it is further supporting evidence for the 27 June 1798 St John the Baptist, Halifax, baptism I traced for John. So all part of the migration pattern of the family – from Newcastle and the North East, to Cumbria and then down to Drighlington in Yorkshire via Halifax. 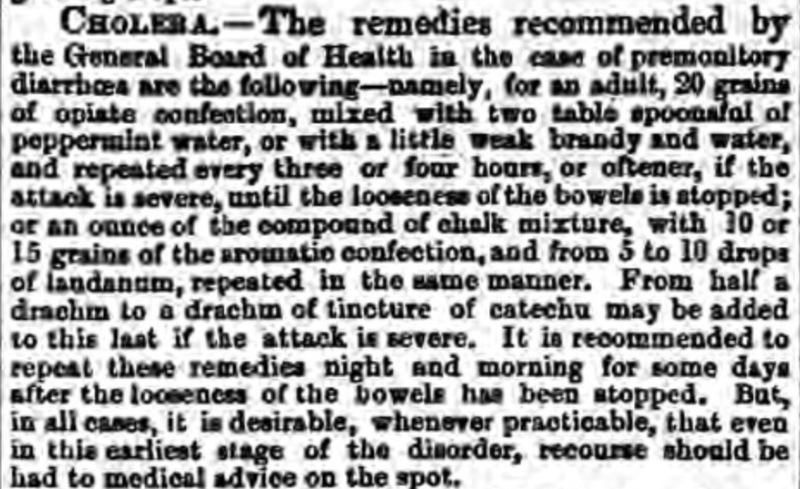 The third piece of information is a newspaper notice in early 1830. 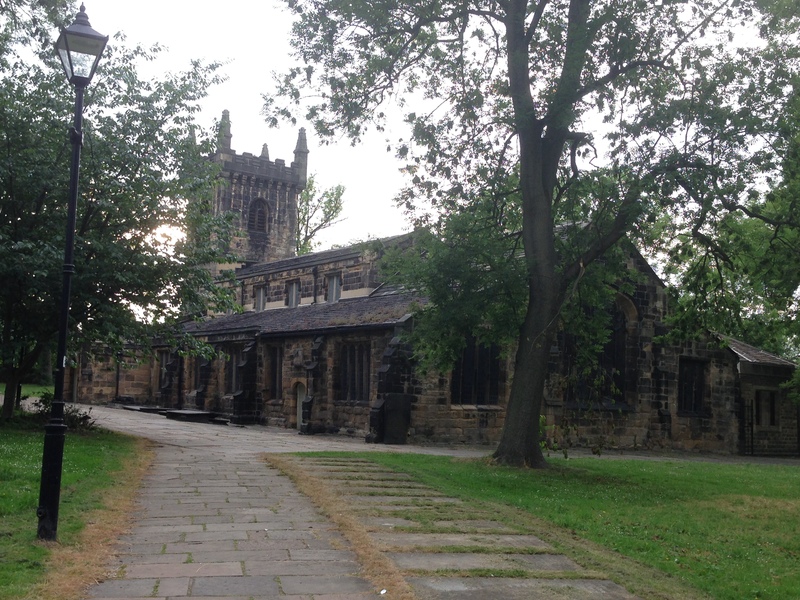 Thwarted by Halifax, the Drighlington poor law officials had All Saints parish in Newcastle firmly in their sights as a place to offload the potentially financially burdensome young family. On 9 December 1829 a Removal Order was issued, but Newcastle challenged it. This Order was respited pending an appeal. The January 1830 West Riding Quarter Sessions, held in Wakefield, show this appeal by the All Saints churchwardens and overseers would be heard at Easter 1830 Quarter Sessions at Pontefract. It was the report of this appeal which features in Part 1. If Charlotte Burnett be living, she will hear Something to her Advantage, by applying to Mr Salmon ___ Overseer for All Saints’ Parish, in this Town. She is upwards of 70 Years of Age was born with one Hand only, and was last seen in this Neighbourhood in 1827, at which Time she was travelling with her Daughter and Children as Gipsies. It is presumed that she is known by the Name of Burnett. Any Person giving such Information as will enable Mr Salmon to find out her Place of Residence, shall receive the above Reward. The reward indicates the importance to the parish in locating what would be a prime witness for them. From the notice I have an idea of the mobile lifestyle of Charlotte. There is confirmation of another branch of the family. There is also an indication of the hardship she faced, living with a disability for all of her life in such unforgiving times. So some more pieces in the family history jigsaw puzzle. The overseer succeeded in his search because Charlotte was traced and did appear at the appeal. The assumption that she used the name “Burnett” was correct, as was proved at the Easter Quarter Sessions. But I still do not know for sure whether she married Stephen Burnett. Neither do I know any maiden name. The newspaper piece gives me some information to work with when I next visit to Tyne and Wear Archives – more parish record searches, including overseers accounts and vestry minutes for 1829-1831. In my post about Bigamy in Batley I introduced my 4x great grandparents Robert Burnett and Ann Jackson. Due to Robert’s job as a tinner/brazier, the Burnett family moved frequently in the early days of their marriage. They finally settled in Drighlington in the early 1800s, presumably once Robert had earned sufficient money to establish his own business. Their first children were born in the Halifax area (1794 and 1798) and Flockton (1796). But for a while the origins of the couple remained a puzzle to me. Robert died before the 1841 census. Ann’s entry in that census indicated Yorkshire roots. She died in 1848, so there were no further clues. From death certificates it appears Robert was born in around 1771 and Ann in 1772. I suspected Ann’s maiden name was Jackson. This theory was based on the fact that two of her sons, John and James, had children named Jackson Burnett and Ann Jackson Burnett. Their wives had no apparent link to this surname. The only likely marriage I could find between a Robert Burnett and Ann Jackson took place on 7 January 1793 at Kendal, Westmorland. By this time Stephen, Robert and Ann’s son, had died. Neither was Durham associated with my family history research. But the name piqued my interest. The article turned out to be a newspaper report of a case heard in Pontefract in which All Saints Parish, Newcastle upon Tyne was appealing against an order for the removal of a pauper Jane Burnett, widow of John Burnett, and her four children from Drighlington to All Saints. John Burnett, who was one of Robert and Ann’s sons, died in June 1829. Under the complex Poor Law rules of settlement everyone “belonged” to a parish and this parish and its ratepayers were responsible for supporting them if the need arose. In larger parishes of the north the financial burden was the responsibility of the smaller township unit. This issue of settlement was a complex and contentious one, the number of inter-parish disputes and court cases a testimony to this. Generally your settlement parish was that of your father but this could be superseded by a number of other factors. For example a woman took the settlement parish of her husband on marriage. If illegitimate your settlement was the place you were born, but this changed from 1743/4 when you took the settlement parish of your mother regardless of your birthplace. There were other permutations too including being a parish ratepayer, renting a property in the parish assessed at £10 pa or more, serving an apprenticeship, or being hired to work in the parish for 12 months; but all in all the rules were a veritable minefield. In the case of Jane Burnett and her children the Officials responsible for the Poor Law in Drighlington township were trying to prove their rightful settlement for this family was Newcastle All Saints. They were seeking to ship them off to an area of the country the family in all probability had never visited, in order to save Drighlington poor rate payers the expense of providing parish relief for them. 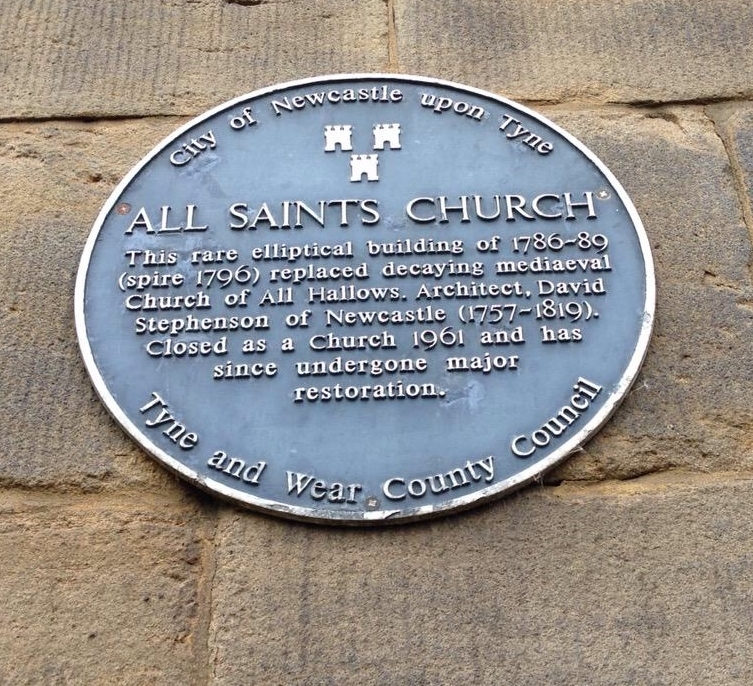 And All Saints Newcastle similarly did not want the burden of costs falling to their ratepayers, possibly for many years to come as the children were all under ten years of age. In the course of the case Mr Maude, acting for Drighlington, called forward Ann Burnett, wife of Robert. She affirmed that her maiden settlement was Newcastle All Saints where members of her family had received frequent parish relief. Ann had also given birth to an illegitimate child in the workhouse there. So this appeared to be the very thin grounds for the wish to send the family to this Parish: the fact that Newcastle All Saints was the Parish of John’s mother. However from Parish Registers John was born in wedlock so to my mind should, in the absence of other superseding reasons, have taken the settlement of his father Robert. In turn Mr Blackburn, acting for All Saints, called Charlotte Burnett the 82 year-old grandmother of the deceased. The report contains no mention of Charlotte Burnett’s maiden name, unless that too was Burnett, or her origins. She now lived in Carlisle with her daughter, Mrs McGregor. In her testimony she stated that when she was around 22 years old she had lived for some time in a state of “concubinage” with a man named Stephen Burnett, a Stockton chimney sweep. Going one day with his apprentices to sweep chimneys in Darlington, she went into labour and gave birth to Robert, the father of the deceased, at a place called Long Newton. Darlington is just over 11 miles from Stockton-on-Tees, with Long Newton a shade over four miles into the journey, so a fair trek in circa 1771 for a heavily pregnant woman. And I am baffled as to why she was making the journey in the first place; she could hardly be sweeping chimneys! It was therefore claimed that, being born illegitimate, Robert’s place of settlement was Long Newton. And because his son John had gained no other settlement elsewhere the decision was made that he too belonged to Long Newton, as did his widow and children. The court therefore decided that Jane and her children should be removed forthwith to that Parish. There is some doubt about whether the order was ever carried out. If it was, it only lasted for a short period. Jane Burnett remarried on 27 September 1832 at Leeds Parish Church. The Parish Register entry states that she lived in Armley Parish. The 1841 census shows she was living once more in Drighlington with her children by John, new husband Jeremiah Newell and their children. So even though I have been unable to trace records of the case in West Yorkshire Archives, due to the contentious nature of the operation of the Poor Law in that period and the newspaper report of the ensuing court case I have a wealth of information, including names and locations, which I am in the process of following up. 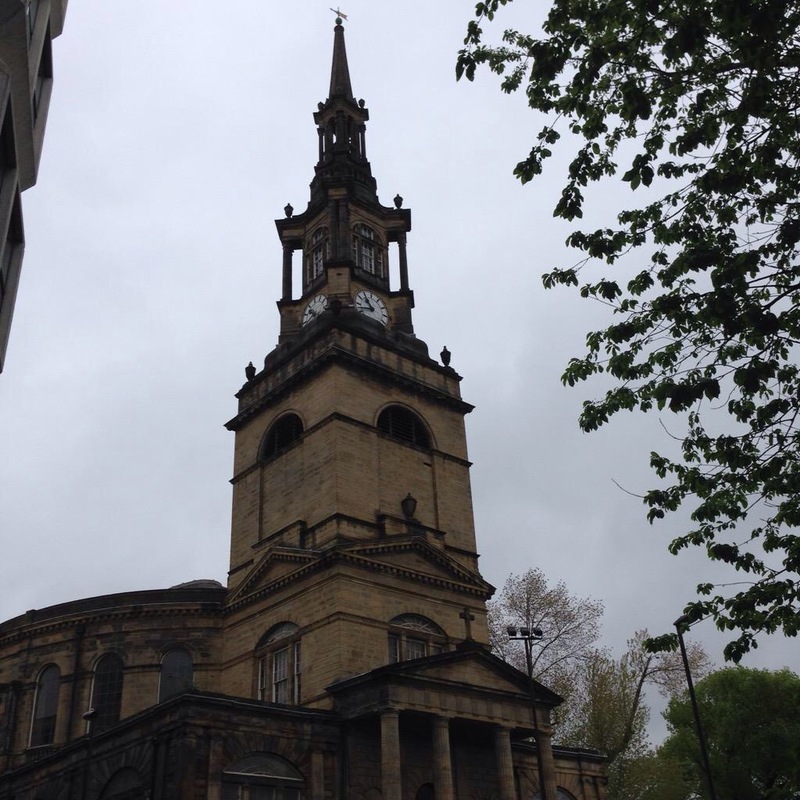 From initial searches on FreeReg and a visit to Tyne and Wear Archives it appears that John Jackson, mariner, married Elizabeth Hay at All Saints on 20 April 1772. Ann was baptised on 22 August 1773; daughters Amelia and Jane were baptised on 4 November 1787 at the ages of six and two respectively. Various Jacksons feature frequently in the return of clothes given to the poor. Sadly the poor house admission/discharge register does not cover the period for the birth Ann Jackson’s illegitimate child. However the bastardy bonds include an entry on 27 May 1788 for an Ann Jackson. Jas Atkinson, Shoemaker, appears to be the putative father and house carpenters Gilbert Dodds and Wm [Reid?] are named as those charged with paying bonds of indemnity. However further research is needed so another visit to Tyne and Wear Archives beckons. That is not the end though. Newspaper searches have produced some further articles which potentially relate to my 5x great grandfather Stephen Burnett, father of Robert. I will return to these in Part 2. “England Marriages, 1538–1973 ,” database, FamilySearch (https://familysearch.org/ark:/61903/1:1:NJV1-NYQ : accessed 5 July 2015), Robert Burnett and Ann Jackson, 07 Jan 1793; citing Kendal, Westmoreland, England, reference yrs 1700-1795; FHL microfilm 97,376.